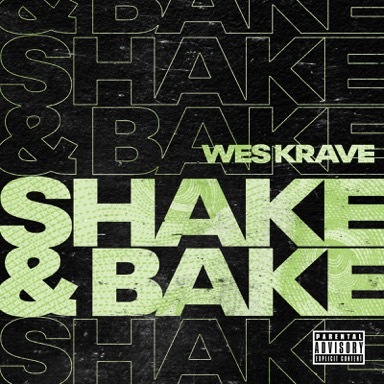 Wes Krave sets the tone for one epic year with a new single, “Shake & Bake.” Coming with upper echelon flows on top of smooth production, the track hits on real life topics like jealousy, false paternity claims and fraud rappers. “Shake & Bake” shines in Wes Krave’s ability to keep it genuine, painting vivid pictures of everyday life from the perspective of an OG. Lines like “only f*ckin’ with the true no suckers in my section” and “always kept it low key I never been a flexer” offer relatable content matter, in addition to letting ‘em know Wes Krave has been a boss. Krave’s latest effort, the full-length ‘By The Code’ dropped January 30th, 2019. According to industry insiders the release will be the one that brings Wes Krave to a large global audience. His obvious love for the creative process and making music for hip-hop fans just like himself is all over the new record and it’s expected to do big things for his career. Hip-hop aficionados looking for new sounds and wondering who’s up next in the game need to get with Wes Krave today. He’s the one.